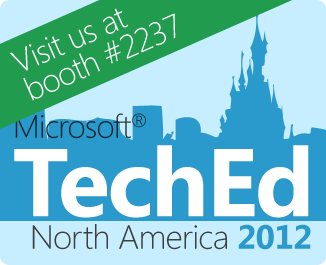 And again, another year has passed and the biggest Microsoft conference in North America is waiting in the wings: TechEd North America 2012. If you are still on the fence about going and haven't registered yet, I can can tell you now: You won't be going.TechEd is sold out! No surprise here - it is packed with great information from Microsoft, top speakers from around the world, leading vendors in the expo area and thousands of peers to connect to. For all others, we will release the CTP soon as a pre-compiled version of TX Text Control Words. You can check out all new features, the new style and new object handling on your own. Keep an eye on our website and this blog.